Wison’s comedy career began while a member of the US Air Force. His outgoing nature and humorous storytelling abilities made him popular, even leading to him performing for other servicemen at several military bases. After his military career ended, he found work as a bellhop in a San Francisco hotel. He created a routine playing a drunk patron between acts in the hotel nightclub, which turned into regular gigs in other California clubs. It wasn’t long before he started showing up as a guest on The Tonight Show, Laugh-In and Ed Sullivan. 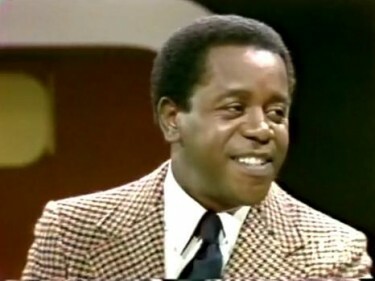 The Flip Wilson Show debuted in 1970 and ran until 1974. The lively comedy-variety hour featured sketches and a wide range of musical guests, but is most likely remembered by most as a vehicle for Wilson’s signature characters, Geraldine Jones (Wilson in drag), Reverend Leroy and Herbie the ice cream man. After the demise of the show, Wison appeared sporadically on television, but mostly faded away. He died of liver cancer in 1998 at the age of 64.